Oral hygiene is something that I've always been vigilant about. I am so self conscious about my smile and I have been since I was little, but I told myself I would always be good about brushing my teeth. I brush twice a day, everyday. While I do have a good habit, they could definitely be better. I don’t ever rinse with a mouth wash and I only floss on occasion. I have to wonder how much I am missing in my mouth by only brushing. According to Listerine, you miss 75% of your mouth while brushing. 75%! That’s insane! I want to create better habits and get into a better routine. While brushing only covers about 25% of your mouth, rinsing with Listerine can cover the rest of your mouth that you may be missing. What better way to create a new habit than to take a 21 day challenge. Listerine has an awesome 21 day challenge that commits you to rinsing twice a day. I’ll also be flossing daily as part of my challenge. 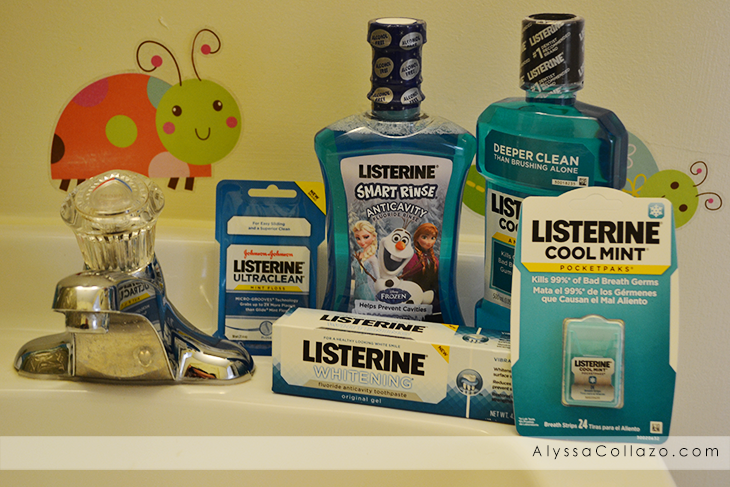 My family is along for the challenge and luckily for us Listerine makes an awesome bubble gum mouth rinse for kids. My girls are pretty good about brushing twice a day, everyday as well. Because nothing says HELLO, like a big beautiful white smile. There are also grand prize drawings for those who are consistent with the challenge. You get an entry for every 7 days that you complete. I am really excited about this challenge and the opportunity to create a positive new habit. I’ll be following up to let you know how the challenge goes. What are your oral hygiene habits like? Would you benefit from this challenge? DISCLAIMER: All products received are complimentary for testing purposes from LISTERINE Healthcare Products Division of McNEIL-PPC, Inc. All opinions stated are my own and are not influenced by any affiliates. I have been using Listerine for years. I love the way it makes my mouth feel fresh and clean. Listerine, well I have been using that as part of my daily tooth brushing regimen for years and years. My mom used when I was a child and I continue the tradition. No way better to clean your mouth and kill germs. Great challenge! My family uses Listerine -- it's our mouthwash of choice. Great product! Now this is a challenge I can really get behind! Start something to help your dental health and possibly win prizes? Sign me up! Listerine is my favorite mouthwash brand! I already rinse my mouth with these so I guess I am apart of the 21 day challenge! I love listerine. Thank you for sharing. I think I will join the 21 day challenge. Seems like a great challenge. Listerine is the only brand we use! We are very strict with oral hygiene around our house as well. It has to be learned young for it to stick! I heard about this 21 day challenge! I want to try this challenge, not only with mouth wash, but with other things in my life. The fact that it takes 21 days to develop a habit is a great piece of knowledge and a great way to train yourself. Great post! Thank you for sharing. hopefully more people commit to the challenge. 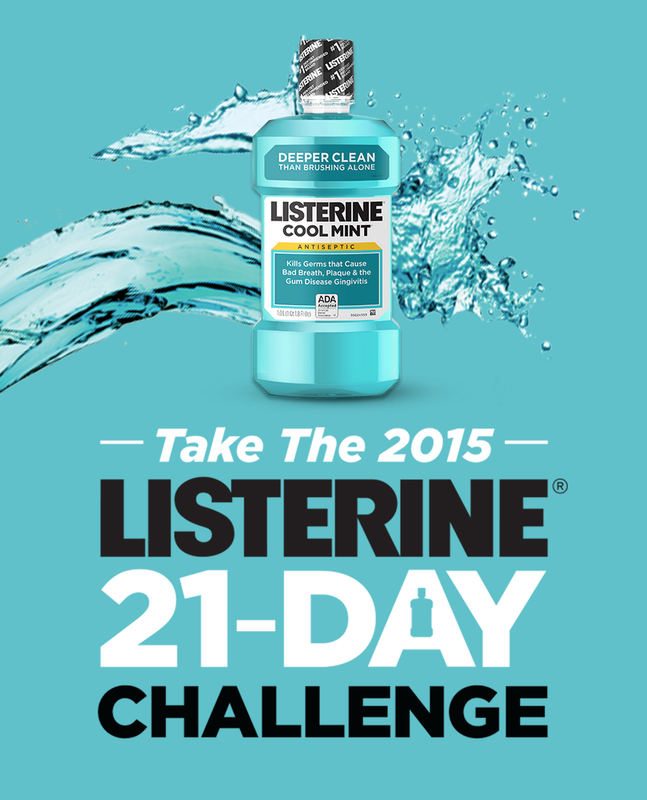 This 21 day Listerine challenge sounds great! I had no idea they made a frozen mouthwash now. I trust Listerine products. I did not know about this 21 day challenge! We have been Listerine users in this family for years. Even my kids love to use them as well. It's a daily routine for us. Everyone in the family also uses Listerine for our oral hygiene. This is a great challenge that can help you form a habit. I have pretty good oral habits, but I don't use Listerine. I didn't know they had so many products! Listerine is not at all what it was when I was growing up. Now it has different flavours and different applications. All very cool that you can still use it whenever you want. Listerine is my must-have item. I love the mouthwash and the pocketpaks. I recently found out that it used to be used as an aftershave for women. The more you know. LOL!